Lilac coloured mica mineral also known as lithium mica. 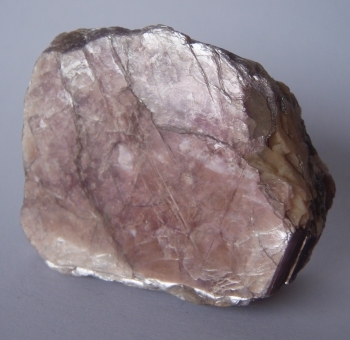 Lepidolite is a silicate mineral and a source of lithium, rubidium and caesium. Platy sheet crystal structure is clearly visible and crystal faces display typical uneven fracture. Lovely display specimen with many layers of crystals for the classroom or for teaching. The specimen can be handled by students without damaging the crystals if it is handled with care.